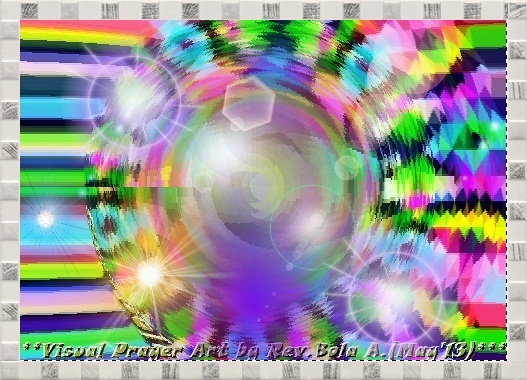 Title: 'SPIRITUAL DISCERNMENT'/Mx - Visual Prayer Art from Collection by Rev.Bola A. HOW I MAKE ALL MY IMPORTANT LIFE DECISIONS. Being led of the Spirit and knowing the will of God requires discernment and a submissive heart. It is important that I get my heart in the place where I am willing to do whatever the Lord may ask me to do. Or to refrain from doing whatever the Lord, does not need, want or require me to do. I must not be like the lady that I read about who…. went from home to home across the countryside selling thread, buttons, and shoestrings. When she came to an unmarked crossroad, she would toss a stick into the air and go in the direction the stick pointed when it landed. One day, however, she was seen tossing the stick up several times. "Why do you toss the stick more than once?" someone asked. "Because," replied the woman, "it keeps pointing to the left, and I want to take the road on the right." She then dutifully kept throwing the stick into the air until it pointed the way she wanted to go! God's Word in The Bible assures me that there is a way I can position my heart to know I will be directed by the Lord. This verse says so in addition to many others. Let me share four questions I ask during times when I am attempting to discern direction from God. 1. Does What I am Sensing Square with Scripture? -Since the Scripture reveals us to me the will of God, I should never follow a path contrary to the truth of Scripture. -I am to be led by the Holy Spirit (Rom. 8:14) and the Holy Spirit will never lead me contrary to Scripture. Why? Because the Scripture was given to men through the Holy Spirit. 2. Does What I am Sensing Bear Witness with Peace? -Paul wrote we are to let the peace of God rule in our hearts. If what I think I hear being said causes me to lose my peace, then something is amiss. -Something may be right to do, but it may not be the right time to do it. -Something may right in my own human eyes and the eyes of my friends, but if there is no peace, then the Holy Spirit is saying "No!" 3. Does What I am Sensing Connect or Conflict with Other Confirmed Direction? -If I am having to knock down a door that God has not opened, then I realize I am going the wrong way. Sometimes we want something we will try to bend everything toward it. ILLUS-When God bolts the door, don't try to get in through the window. The will of God never will lead me where the grace of God cannot keep me. -In the mouth of two or three witnesses a thing is established. What does the counsel of Godly Christian people around me say? -What prophetic words have I been encouraged with through the Scripture or through the Spirit speaking through someone else, or even my dreams. God still speaks through dreams but I must be discerning and use His Word as a standard to judge them. ILLUS-Do not hastily ascribe things to God. Do not easily suppose dreams, voices, impressions, visions or revelations to be from God. They may be from Him. They may be from nature. They may be from the Devil. J.K. Johnston, John Wesley Why Christians Sin, Discovery House, 1992, p. 102. -Do not go against the last thing you KNOW God spoke to you about by changing directions on a word you are not fully assurred of. 4. Does What I am Sensing Contain the Fruit of the Spirit? -I do not do what Jesus who was full of the Spirit would not do. -This is a behavior oriented test. The Lord leads me to do things that will result in the fruit of the Spirit being demonstrated in my life. -For example, He will not lead me into situations where I lose my patience with my partner. He will not lead me to respond to someone in a harmful way. CONCLUSION: Am I willing to do His will above all others? 2. I know God's will and I am trying to decide whether or not to do it. I must always ask my Spirit, which of these might I be wrestling with at any given time? Incidentally, sharing this article brings me a lot of PEACE. *With Special Thanks To Eddie Lawrence for his Divinely Inspired Teachings.